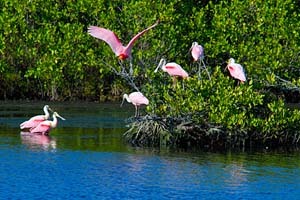 GET OUT OF THE RV & EXPERIENCE SPACE COAST NATURE ADVENTURES! If you are looking for nature adventures, from birding to wilderness hikes, check out this site! Space Coast Outdoors' website has a complete list of things to do from fishing, hiking, surfing, paddling, snorkeling and so much more. Get off the beaten path and experience Florida in it's natural habitat.